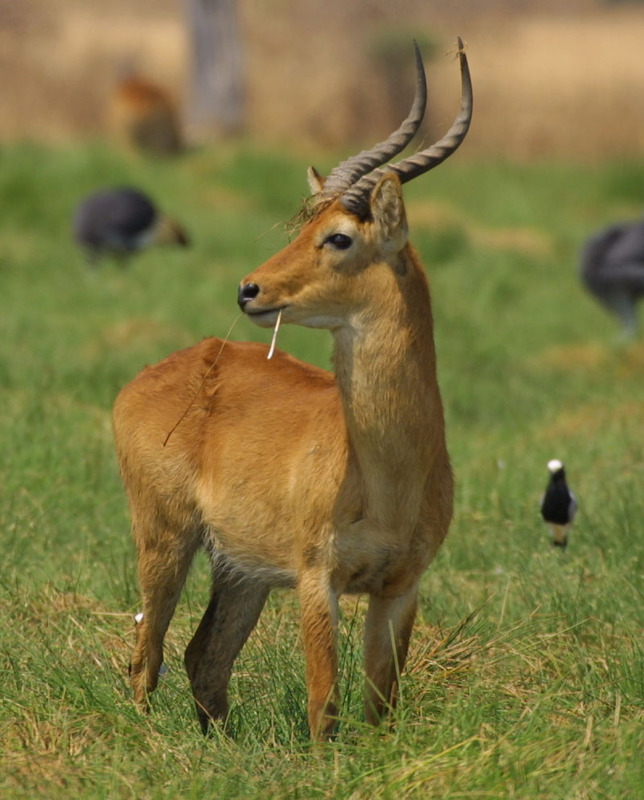 Today I want to write about a cool animal that not many people have heard of, the puku. These elegant antelopes measure up to 80 cm tall at the shoulder and weigh up to 80 kg. Male pukus have curved horns that can grow up to 50 cm long. They use their horns to fight with other males. Males live in territories by themselves and females live in groups of about 20. The males try to keep the females in their territories for as long as possible so that they can breed with them. Female pukus are actually not very good mums and don’t bond closely with their babies. They don’t protect their babies from predators and often run in the other direction when alarmed. This means that not many babies make it to adulthood when compared with other species of antelope. The main predators of pukus are lions, leopards, hyenas and African wild dogs. When alarmed, pukus use a high-pitched whistle to let each other know so that they can run away. Pukus are found in grasslands near water in south central Africa, with the largest populations found in Tanzania and Zambia. They are threatened due to habitat loss, poaching and competition with livestock. Are there any other interesting facts that you would like to share about pukus?